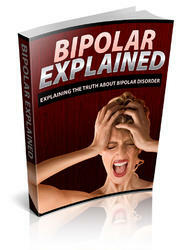 Bipolar is a condition that wreaks havoc on those that it affects. If you suffer from Bipolar, chances are that your family suffers right with you. No matter if you are that family member trying to learn to cope or you are the person that has been diagnosed, there is hope out there.